Cypher Billboard Presents Home Me 3: an evening of film screenings to launch Erin Hughes’s artwork for the second in a series of five site-specific artist responses for a billboard space in North London. Screened films by Patrick Goddard, Daniel Schine Lee, Amba Sayal-Bennett, and Gray Wielebinski in collaboration with Georgia Lucas-Going; programmed by Erin Hughes. 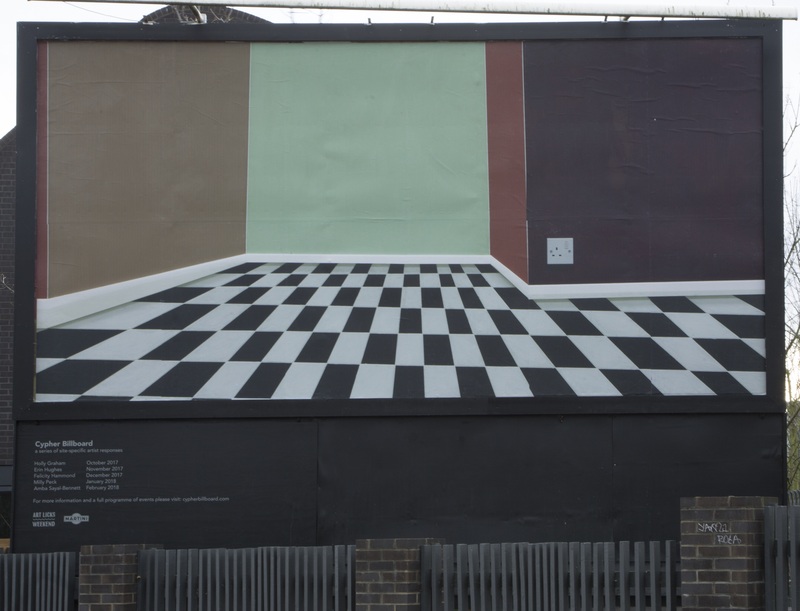 Billboard is a project by artist collective Cypher, that seeks to commission artists to produce responsive site-specific artworks for a billboard space in Bounds Green, London. The site hopes to challenge conventions of display, and act as a launch-pad for generating conversations, through a series of satellite events and workshops. It provides an alternative space and framework for developing new work, holding its own rules and limitations as well as freedoms and extensions. Artworks will be displayed successively for a duration of one month each, taking the form of five solo shows, over the course of a five-month period, October 2017 – February 2018. A publication and set of editioned prints will be produced at the end of the project; as a form of documentation, and a potential generator of funds for future Cypher endeavours. 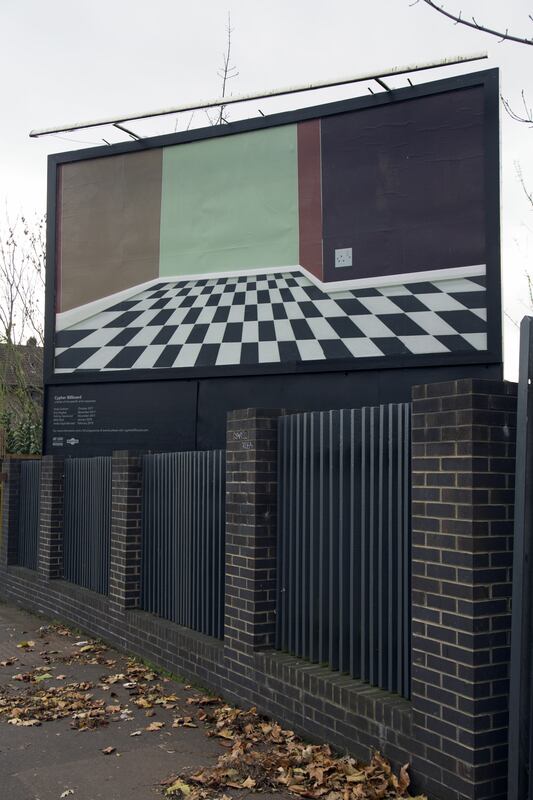 The Billboard project, situated publically, seeks to engage wider audiences than those often received within gallery walls. Artists will be asked to contribute to developing a corresponding events programme to run along-side their exhibition. 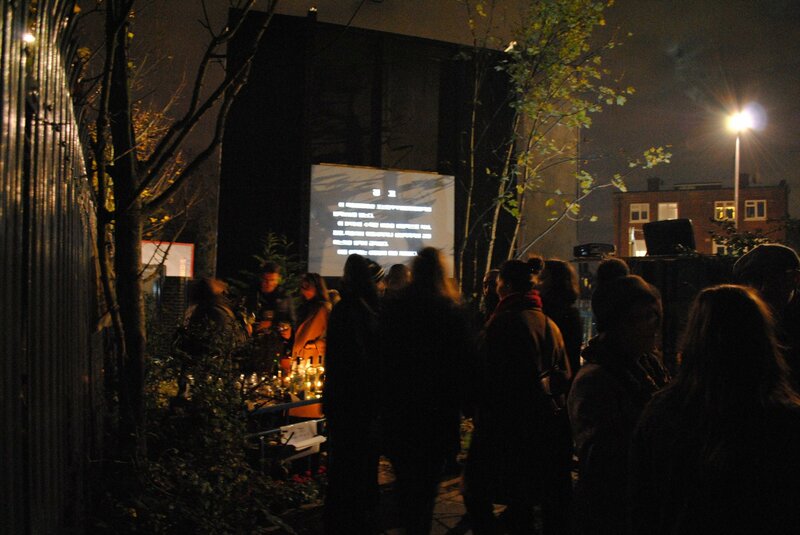 Public-facing events may take any number of forms, such as that of a meal, book club, artist talk, discussion group, screening, or performance. Cypher are also working towards a series of artist-led workshops with locally-based Trinity @ Bowes Youth Club. Based between Berlin and London, Cypher is an artist-led initiative focused on critical feedback of new works. It began in November 2015 as a weekly group critique meeting and has since evolved into a project space and migrating visual arts programme, through which artists are invited to present new works. The Cypher project space is located in Berlin, Wilsnackerstrasse 61. In October 2016 Cypher hosted an exhibition entitled ‘Backdrop’ as part of Art Licks Weekend – the first of many on-going projects based in London. All sales from our editions go towards the project. You can purchase prints from our Editions page, or head to our Crowdfunder to donate.